One of the most popular types of bread we make here in the US and that we serve with a variety of meals, is our cornbread. Summer never goes by without me making it at home to serve with fried chicken or BBQ ribs. I have several different recipes to make it, and depending on the different type of ingredients that you use, you can give it different textures and flavors, but the recipe I’m sharing with you today is one of the most basic, easiest recipes that never disappoints. The cornmeal you need to make this recipe is not the same precooked cornmeal we use to make arepas, nor the corn flour that is used to make tortillas. This cornmeal is actually made with dry, sweet corn and its consistency is thicker than the ones I mentioned earlier. 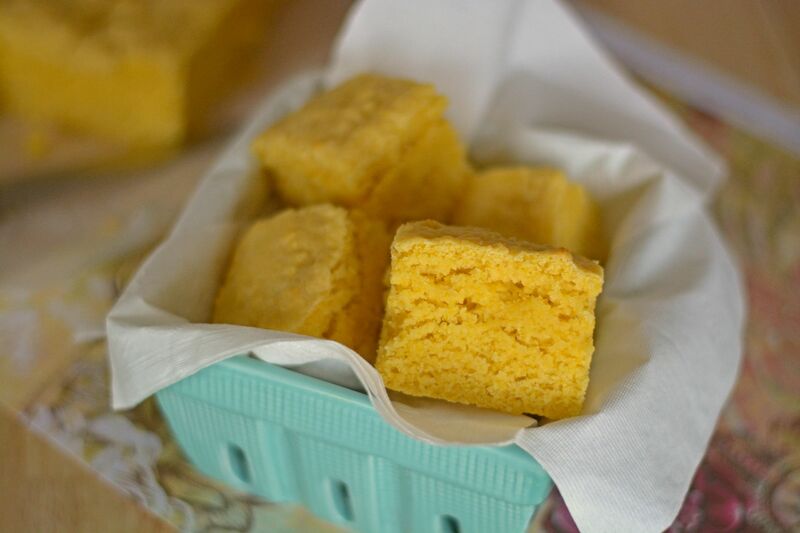 You can also use the same cornmeal that is used to make Italian polenta. 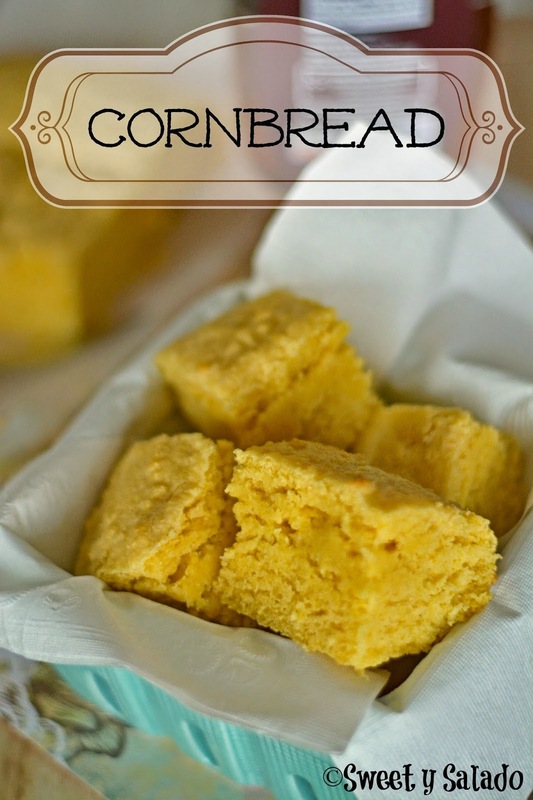 And how and when can you serve this cornbread? You can serve it anytime you want, whether it’s for breakfast or as a side dish for heavier meals or soups. My favorite way to enjoy it is spreading a good amount of butter on top and then drizzling it with honey… delicious! Prepare an 8 x 8 inch (20 cm x 20 cm) baking dish by spraying all sides with cooking spray or butter. Cover with parchment paper and then lightly spray the parchment paper as well. 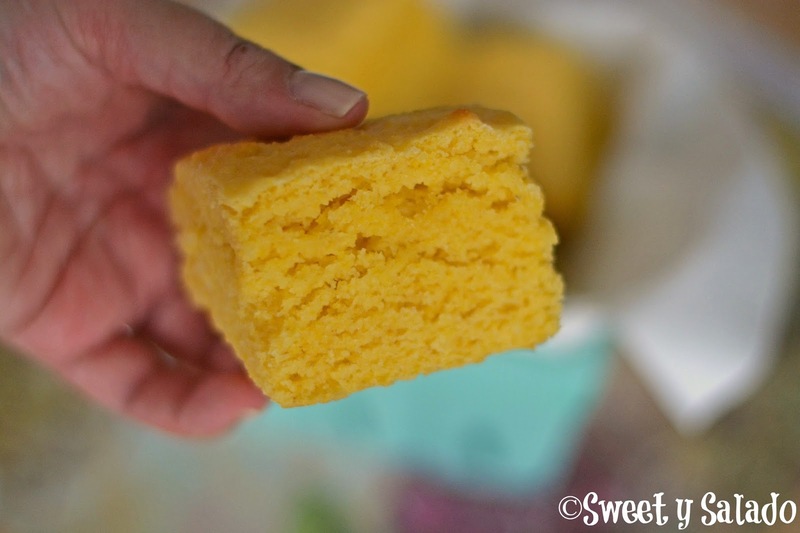 In a medium bowl mix the yellow cornmeal, all purpose flour, sugar, baking powder and salt. Stir well and set aside. In a large bowl whisk the milk, egg, and melted butter. Then, add the dry ingredients and mix until well combined. Pour batter into prepared baking dish and bake for 20-25 minutes or until a toothpick inserted in the middle comes out clean. Serve warm.